You cannot change the prize to cash. PC/Notebook usability rating: 4/5. It takes about 5 minutes to finish. There are 2 open questions. Your receipt is needed. Tablet usability rating: 3/5. No mobile page is for Tablet. There are 2 open questions. You need to enter your personal information. Smartphone usability rating: 2/5. No mobile page is for smartphones. You can still finish Revs Entertainment Customer Survey via smartphone, but it may take more than 5 minutes to finish. 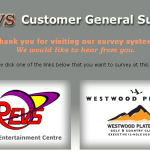 Log on to the Revs Entertainment customer survey official website. 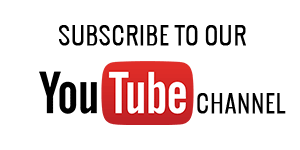 Enter your email address, Revs center you visited, and card number (if applicable), then click the "start" button. Enter your name, address, city, postal code, phone, visit day & time and select answers to questions like "Are you a league bowler""Which of the following did you do on this visit to REVS?". Enter Counter Staff's Name, Server Staff's Name if applicable. Rate the statements like "Friendliness of the staff at the front desk". Select answers to questions like "How often do you visit REVS?". Answer open questions like "If you were the manager/owner of REVS, what would you add and/or change to make your visit more enjoyable?" and click "Send" to finish the survey. Check your email and bring and present the emailed certificate and survey card for your free game of bowling. If you have any problem or difficulty to finish Revs Entertainment online customer survey, refer to the following survey video recorded editorial team. You can also find those related questions and answers related to Revs Entertainment customer survey in this article. REVS Burnaby is a unique and exciting indoor venue for fundraisers, corporate teambuilding, children's birthday parties or even just a night out with friends. REVS Burnaby features state-of-the-art Cosmic Bowling, delicious meals and handcrafted pizzas designed by Kitchen Manager Jason May at Striker's Bar, big screen sports games in the REVS Lounge, full service Fitness Centre that includes 5 racquet, and much more. You will get free bowling ticket from Revs as the appreciation for your time by taking time to finish the survey online at revs.ca/survey/bowling/index.php. The gift from Westwood plateau survey is the chance to win A Round of Golf for You and Three of Your Friends at the Country Club at revs.ca/survey/wwp/index.php. Take the survey at survey.revs.ca to win your free bowling ticket. very firstly, I would like to to cotlratugane you for this kind of a well though of report which you have posted for us to see. It is definitely of great value. I have many brothers that could whole heartdly utilize the info that you have elaborated here; I am going to facebook them a link to this website so that my people can read your article and confidently gain from it. I have my own bowling ball @ bag! Very exctited oabout the survey.